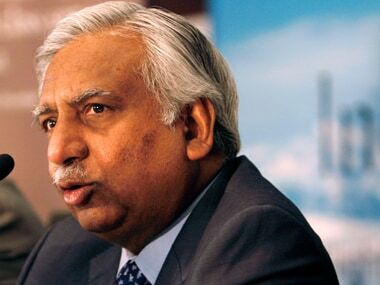 Monday was the end of an era in Indian aviation, with Jet Airways promoter Naresh Goyal, hanging his boots at the airline, as its chairman, after two decades of being at the helm of the airline. He did not want to leave but was asked to do so by the bankers to the airline, who took the helms of the airline he instituted in the 1990s, thus putting curtains at one of the longest innings in Indian aviation. If JRD Tata was the king of Indian aviation, having instituted and run Air India, then Naresh Goyal was the prince. Goyal came from a humble background. He started to work for his uncle, who represented various airlines in India, since 1967. In 1974, he launched Jet Air, his own marketing organization for representing various airlines in India. Then, circa 1990s, the government decided to open up the airline industry to private players, offering more choice to India which only had Air India for international flights and Indian Airlines for domestic flights till then. Jet Airways started operations as an air taxi operator in May 1993, operating between Mumbai and Ahmedabad. JRD Tata was there on the first flight for Jet Airways. 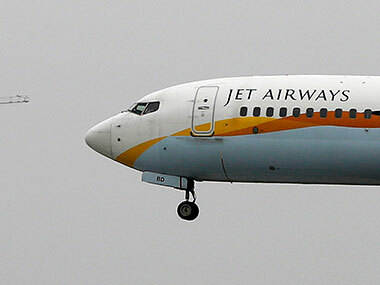 In 1995, Jet Airways became a scheduled airline, who could sell tickets for a flight scheduled in the future, after the abolition of the Air Corporations Act. In 2004, Jet Airways got its boost when airlines in India were allowed to fly abroad, opening up India to a new way of flying. Their first flight was between Chennai and Colombo, but soon, the airline was able to lease an Airbus A340-300E, to launch flights between Mumbai to London. From then to now, Jet Airways grew to have a fleet of 119 aircraft, including 10 Boeing 777 aircraft and 8 Airbus 330 aircraft powering flights across Europe, and even North America. Most of these aircraft are now grounded but hoping to get back on air soon. The focus of Naresh Goyal was always on building a service-centric business, with customer first as its basis. He had the obsessive eye to make a perfect product, but it may or may not have been what the customer wanted. For instance, when Jet Airways purchased their Boeing 777-300ER aircraft in 2007, Goyal installed first class suites on the plane. Those first class suites, and the aircraft as well, mostly did the bidding for other airlines such as Thai Airways and Etihad, till Jet Airways was able to deploy them on their own routes a couple of years ago, flying them to Amsterdam and Toronto amongst other destinations. But, under Goyal, Jet Airways also had their fair share of confused identity. With the onslaught of low-cost flying, which launched with Air Deccan, Goyal found important to participate in M&A activity to buy market share. In spite of being advised against it, he went ahead with buying Air Sahara to rebrand it as JetLite. He also launched JetKonnect, a third low-cost brand, with the only difference from full-service flights being the meal. And then, in 2014, seeing all these ideas flop, Jet Airways went back to be a full-service carrier. Goyal was a good negotiator, a people’s person, and also a relationship builder. His contacts across the industry made sure that when the airline fell on hard times in 2013, he was able to get Etihad Airways to join hands with Jet Airways for a 24 percent stake in the airline. He also spotted the opportunity that was created with Delta vacating their India flights, and his own airline quitting on flying to the USA, to team up with KLM/Air France to make a commercial agreement to fill these gaps for his own airline, as well as the Delta/KLM/Air France joint venture. However, Goyal was not willing to let go when the time was right. When trouble started brewing in the second half of 2018, Goyal thought he could turn it around. He did succeed with lingering on with the airline for a couple of months, given the employees who were not paid then were willing to continue to work in exchange for IOUs of future salary payments. The Jet Airways employees continued to give their sweat and blood, hoping their chairman was going to be able to figure a way out sooner than later. The lessors, the banks, the airports, everyone joined along too. Like mentioned earlier, there was a small public facing problem in 2018 which could have been fixed as long as the airline was sold then. Goyal, however, wanted to be around to be watching over his baby, even when the baby needed to fly away. Subsequently, the law came into the picture, and the lessors had had enough. So everyone, including the Bank, started to pull the plug on the airline. Even through these dark days, Goyal wanted to be around and his exit from the Board was a pre-condition for Etihad Airways to invest in the airline. Eventually, talks collapsed, and Etihad Airways offered its shares back for a repurchase, wanting to leave the airline. So, what does the future hold for Goyal and Jet Airways? It isn’t over yet. Goyal continues to be the biggest individual stakeholder in the airline, holding over 25 percent of the company even after the bank transaction closes. As per the banks, if he climbs back to 26 percent stake, he could get the power to block special resolutions as well, meaning any new investor would have to necessarily team up with him, not against him. And not just that, the door for him is not closed yet. He could still put a bid to buy the banks stake in April, organising a set of investors behind him, and take charge yet again. In the meanwhile, as a customer, it just means that the airline should come back to its original state over the months, in terms of operations. But does that mean they will fly empty planes? Under the management of Jet Airways overseen by a Board committee, that might just be the case. 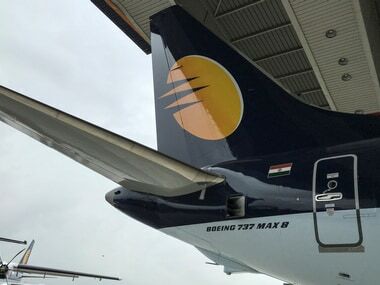 There is a fine line between making profits and filling up planes with cheap seats in the airline business, and in the case of Indian aviation, their low cost competitor can just launch another deep discount sale to chip away any business that Jet Airways may hope to receive in the current environment. Does this mean Jet Airways will live to fight another day? We will find out in the coming weeks leading up to 31 May, when the new owner of the airline will be decided. In the meanwhile, the crown prince will have a moment to reflect, and figure out what his next move could be. 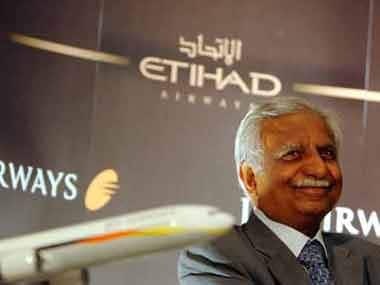 1After fighting several battles, Naresh Goyal forced to retire from Jet Airways; where is airline headed without him in charge?